Housekeeping is a task that every one prefers to outsource these days. It is one of the most important daily household chores. Upholstery cleaning can be a real hassle: dragging furniture down the stairs of your flat and out to the dry-cleaners or repair shop. Cleaning the oven isn't the most exciting job in the world - in fact it's probably the most hated and despised household cleaning chore of all! A quality carpet cleaning service is hard to come by, but Cleaning Firies is committed to providing you with just that. We have carpet cleaning professionals based in Bristol serving your local area on a daily basis. All of our cleaners are equipped with the latest cleaning materials and technology, and we use natural carpet cleaning products whenever possible. You get great carpet cleaning prices and the best cleaning results with the lowest possible environmental impact, all delivered with courtesy and professionalism. No matter the style, fabric or state of your carpets, we will have them looking brand-new in a single appointment. Some cleaning jobs are best left to the professionals, and deep-cleaning tends to fall into this category. Deep-cleaning can mean a number of different things — scrubbing kitchen appliances, removing unwanted household rubbish and refuse, cleaning your toilets and sinks or tidying up your garden — but whatever your needs, we have a deep-cleaning package to suit you. Our home and office deep-cleaning packages are built around quality customer service. We send you properly trained cleaning professionals, equipped with industry-leading equipment, chemicals and materials, and you simply let them know what you want cleaned up. Working hard to give our deep-cleaning clientele exactly what they want certainly keeps us on our toes, but that’s a good thing. After years building a reputation that is second-to-none in the cleaning business, we can proudly guarantee all of the deep-cleaning work we do. 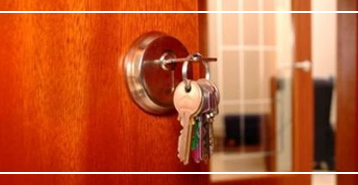 We offer regular domestic cleanings either weekly or fortnightly. We prefer to come on the same day and time each occasion. 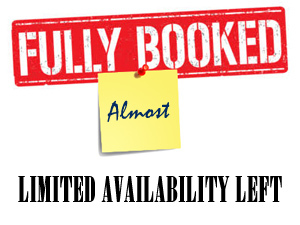 If you want to book us less often than a fortnight we can't offer you a permanent slot in our calendar and you will be required to contact us every each time you want us to come. Usually we need one week notice for this. Floors vacuumed and mopped thoroughly. Housekeeping is a task that every one prefers to outsource these days. It is one of the most important daily household chores. 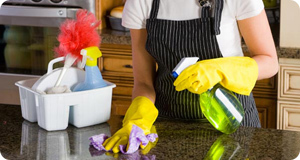 It is necessary to clean the house on a regular basis otherwise all kinds of germs may accumulate in the house making the persons living there more prone to diseases and infections. Also, for neatness and to give a nice look to the interiors of your home it is very important to clean your house regularly. In current times, life is getting busier with each passing day. So, it is very difficult to do everything by ourselves. Household chores are pretty demanding in terms of time and energy. 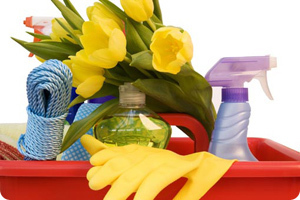 With a hectic work life it is really difficult to manage doing housekeeping ourselves. One of the popular ways of dealing with it is to appoint some labour who does it on your behalf. But, the problem is that labour is very costly. Also there is severe shortage of labour these days. 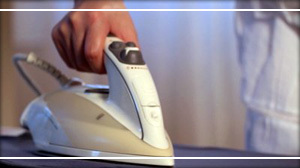 So, what one can do is to rely on the popular housekeeping services available locally. The tasks that housekeepers need to accomplish are varied and depend on the place they are delivering their services to. For example, in a hospital the housekeeper''s main focus is to maintain cleanliness and hygiene. For that it is necessary to clean the floors every now and then with disinfectant. Also, the toilets, wards, I.C.Us, operation theatres, etc. have to be kept very clean so that the patient is kept in a safe environment. If you take the example of a hotel, more than cleanliness the presentation matters there. 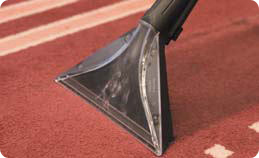 For example, a typical room cleaner''s profile in a hotel includes bed making, vacuuming the room – especially the carpets, cleaning the bathroom, cleaning the mirrors, sinks, taps and bath tubs, also polishing the same for giving it a shine, changing the towels regularly, replenishing the stock of toiletries on a regular basis, keeping the floors in the bathroom absolutely clean and washing off all the stains, replenishing the beverage stock provided in the rooms, etc. So, the task of housekeepers is very demanding and varies from place to place. Many people spend as much time at the office as they do at home, yet few pay as much attention to keeping their workspace clean as they do their bedroom or kitchen at home. Making sure your office is clean can save you time and make you work more efficiently. Plus, the office is also a space where many germs spend their time, so a clean desk can help keep you healthy, too. Whether it is once a week, daily or every night, we ensure that everything is done thoroughly, and that your office building reflects positively on your business. Dust and clean desks, furniture, computers and office equipment. Clean and sanitize phones, doorknobs and switch plates. The office cleaning offered by Cleaning Fairies is a strictly professional service. 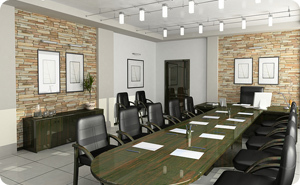 Our cleaning staff will come on site and clean any business or office in complete detail. This is not a touch-up style service, but a complete and thorough cleaning of the space. Our professionals can help with other tasks, such as vacuuming, dusting, and taking out the trash etc... We offer flexible hours and are experienced in working in a business or office environment . We understand the importance of clean offices and we get the job done with proper care and a professional approach. As well as professionalism, we offer competitive prices. 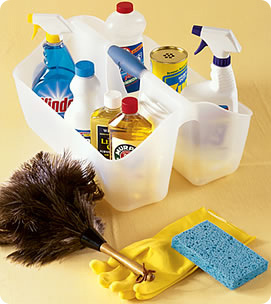 Our prices reflect the reliable and efficient office cleaning service we provide. No matter how bad you think your oven is, we''ve seen worse! 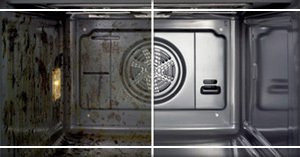 It generally takes around 2hrs to properly remove the burnt on carbon and grease and get your oven sparkling. We are here to do the job you hate! Why bother with DIY when our experts will do it for you, leaving you free to enjoy your well earned leisure time. If you’ve been waiting for the weather to turn before cleaning your home, now is the time: we have spring cleaning service to suit every budget and busy schedule. We have local cleaners and cleaning teams based throughout Bristol, and our friendly office staff will be glad to determine the type of cleaning that’s right for you and schedule an appointment at a time and date of your choosing. Extensive cleaner training and flexible scheduling allow us to tackle any spring cleaning job, big or small, no matter how challenging. 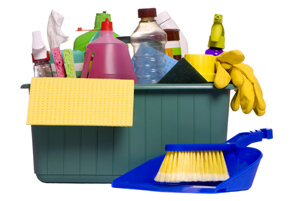 We even carry specialty spring cleaning chemicals, materials and equipment made from environmentally-friendly products, which will leave your home or office spring-time fresh. All of the manpower required for your spring cleaning is included in the price and we guarantee all the work we do - we have years of experience in the business and a reputation for being the best. Get rid of the clutter as you head into summer.